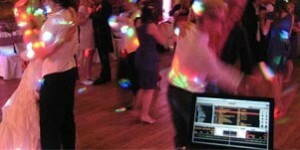 DJ Ollie, a York DJ hire service and mobile disco, have many years of experience in providing a professional mobile DJ service, including disco and karaoke entertainment for weddings, discos and special occasion party requirements throughout York, Leeds and all of Yorkshire. If you are looking for party entertainment or DJ music we are one of the leading specialist DJ hire services in Yorkshire. No event is too big or too small, we can cater to your exact requirements as well as Wedding DJ Hire to make your function or occasion truly memorable! We take great pride in providing the right disco and party DJ for your occasion in York, Leeds or across Yorkshire from our extensive range of entertainers and mobile DJ’s. We have a number of DJ’s in-house, so we can ensure you’re DJ specialises in music the areas you want for any particular event. You can even add your personal touch by providing a disco play list which we will request one month before your party event. All our DJ’s can comply with any dress codes required at a particular event. 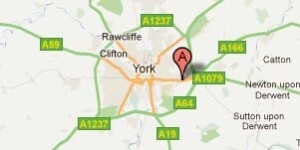 We can cover the whole of Yorkshire for mobile disco and DJ hire. We appreciate the fact each customer is different with regards to the amount they wish to pay for a disco and indeed there are many factors to consider, such as size of the venue, number of guests, location , equipment needed etc. We strive to offer competitive prices. We also work on professional contracts, where all your event details are included to give you peace of mind. If you live in Leeds, Bradford, Hull, Grimsby, York, Harrogate, Whitby, Scarborough, Bridlington, Cleethorpes, Beverley, Hornsea, Driffield, Malton, Middlesborough, Darlington, Market Weighton, Pocklington, Selby, Barnsley, Doncaster, Scunthorpe or any of the surrounding areas and require a mobile disco and DJ, then please feel free to contact us. If you live in Leeds, Bradford, Hull, Grimsby, York, Harrogate, Whitby, Scarborough, Bridlington, Cleethorpes, Beverley, Hornsea, Driffield, Malton, Middlesborough, Darlington, Market Weighton, Pocklington, Selby, Barnsley, Doncaster, Scunthorpe or any of the surrounding areas and require DJ hire then please feel free to contact us. Mobile Disco York is ran and operated by DJ Ollie. 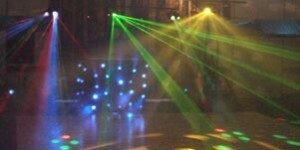 We cover many aspects of projector hire, such as Mobile Disco, Mobile Discos York, Wedding DJ York, Wedding Disco, Wedding Entertainment, Disco Hire, Discos In York, Equipment hire in York, Karaoke in York, Weddings in York, Events in York,York Discos, Karaoke York, York Events, mobile disco York, York Party, Party in York, York DJ, DJs in York, Yorkshire Wedding, Yorkshire disco, Yorskhire mobile disco, Yorkshire DJ, DJ, Disco York, York Disco, sound york.